I got quite a bit of compliments for these nails, mainly because of the unusual color combination of the leopard print. Mint base, pint spots, and brown outlines. I only painted over half of the nail because sometimes leopard print can be a bit overwhelming. 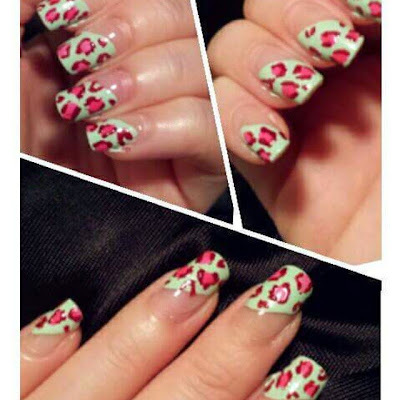 Leopard might but one of the easiest designs yet impressive looking nailart. There is no need for precision and steady hands! I normally just have fun with these and play with different color and texture!